Gouda is one of my favorite types of cheeses. It has such a creamy, rich, & soft texture that makes it nearly irresistible to munch on. That's why I was so excited when Gouda, a city in the Netherlands, made its way onto my family's radar during our Europe trip. I made sure we put it on the itinerary because I just had to see where the famous cheese hailed from. The city of Gouda is world famous for its cheese, but it's also known for smoking pipes & stroopwafels — a waffle sandwich made from two extremely thin layers of baked batter with a caramel syrup filling in the middle aka a gift from the heavens. Stroopwafels were invented in Gouda.! How cool is that?! Side note: I ate soooo0oo many stroopwafels on my trip; they're incredible. If you have access to an international market, keep your eyes out for them. 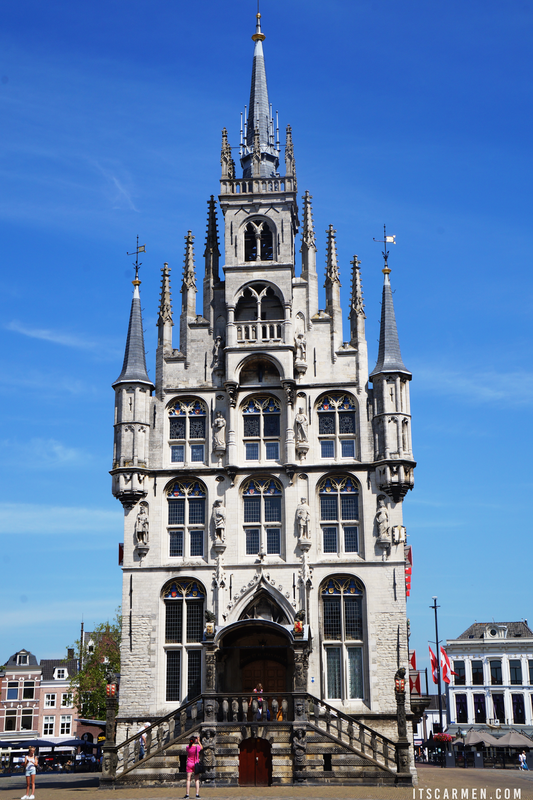 The market square has a gorgeous gothic city hall that's hard to miss & beautiful to photograph. You can explore the town, the market, the shops, & everything in between in a day. 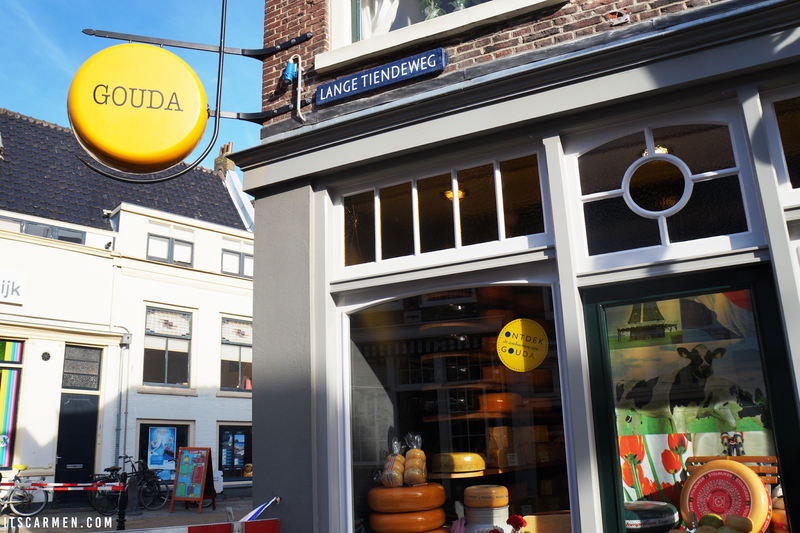 Gouda is a relatively small place so you can appreciate it for a few hours & move on to another destination. 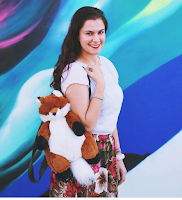 After all, there is so much to see & so little time when it comes to traveling. Munching on local delicacies is one of my favorite things to do in Europe. 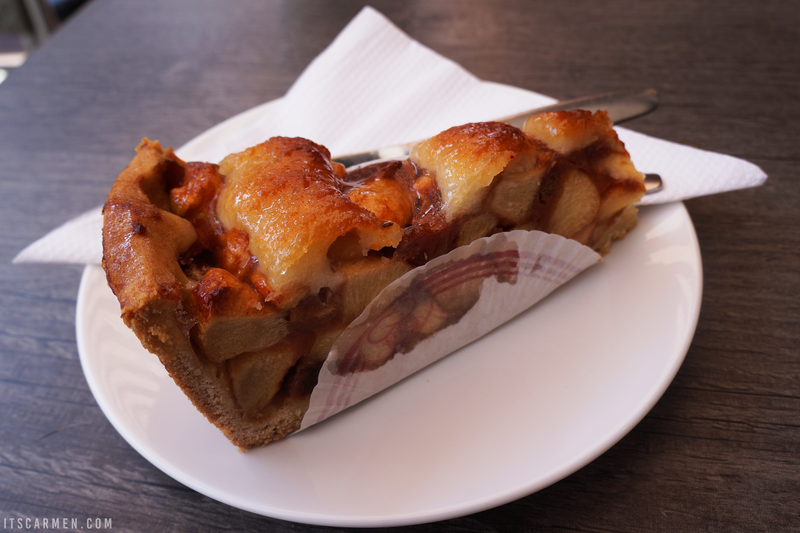 The Netherlands is particularly known for their apple tarts so I recommend eating them as often as possible. While I was there, the indulgence was real. The apple tart in Gouda had giant chunks of apple. Soft on the outside with a slightly crispy interior. An absolute delight. 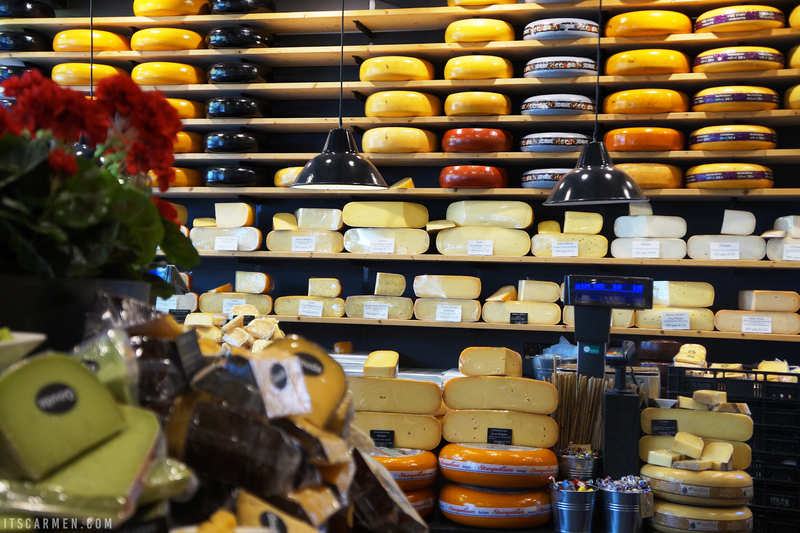 Since Gouda cheese hails from Gouda, Netherlands (duh), you have the opportunity to sample product like you're the queen (or king) of the world. Coconut gouda, pesto gouda, paprika gouda, fenugreek gouda. All the flavors of the rainbow. It's something I still dream about. I tell you what: there's no gouda like the gouda from Gouda. Say that fast 10 times! If you make it out to Gouda, be sure to take the time to eat any of the local food. I drooled at every bakery & cafe & restaurant I walked by. One of the best parts of traveling is tasting various types of cuisine. Eating out can get expensive so it's important to understand how to eat on a budget while traveling abroad. 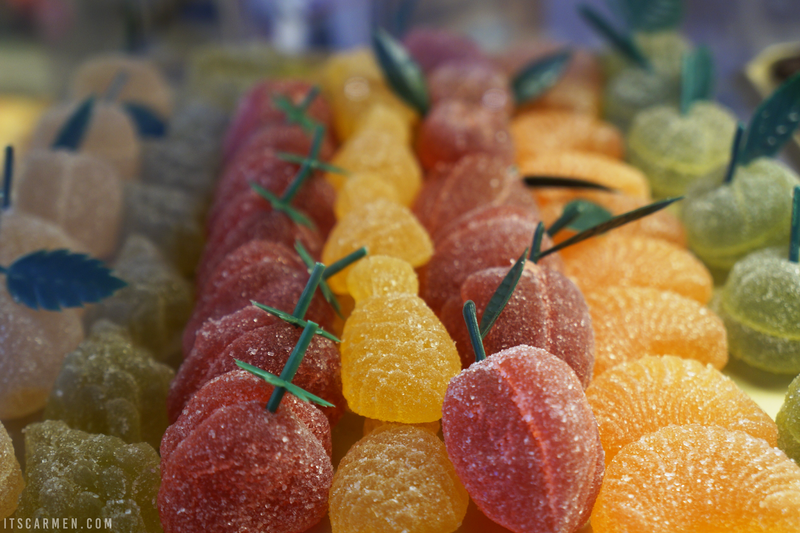 How cute are these fruit-inspired gummy candies?!? The canals of Holland are magnificent. Each one has its own personality & ranges in every city. Back in the day, the canals were used for water management, transportation, & defense purposes. As the times changed, the canals are normally utilized for recreational activities like canal tours. 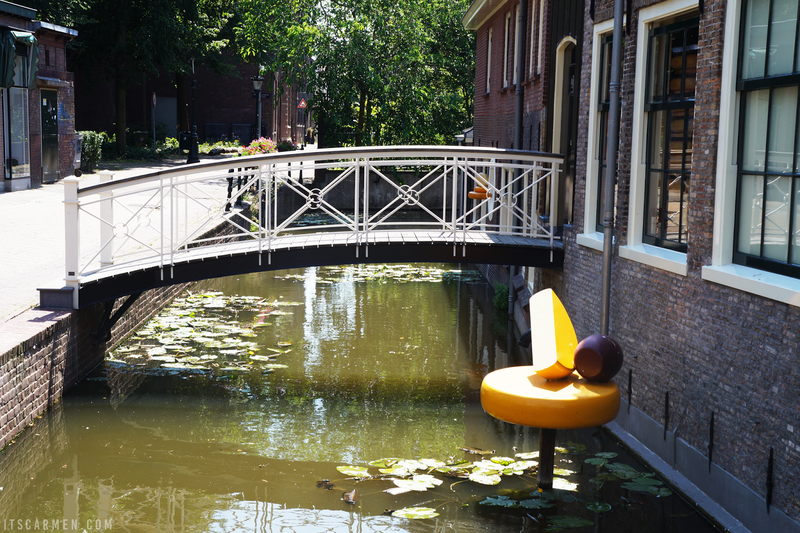 Gouda continues to use the tradition of canals with some unique cheese-inspired decorations. My experience in Gouda, Netherlands was delicious but brief. Take a look at the town center or the local shops, & make sure you stop to enjoy a pastry & some cheese. Grab a wheel of gouda to go as your own edible souvenir. Gouda is an old town with a lot of character. It remains fondly in my heart. I cannot get over this pictures and my mouth may or may not be watering right now! This sounds and looks absolutely amazing. I need to check how far away Gouda is and if I can make a trip there. I do love Gouda, the cheese, so much. But due to a recent intolerance to milk protein, I can´t eat it anymore. I´m sure though that I´ll find a lot of other things (like stroopwafels) to munch on! So beautiful! I reaaaaally want to go there! Never been, but love the cheese. Thank you for sharing this beautiful article. Not only did my mouth water, but it stimulated my juices for travel. Sharing!! This sounds like such a cute (and delicious) town! I'll have to keep this in mind :) Great photos! This looks so beautiful! I want to go there! That sounds like a lovely brief visit! And wow, look at all the cheese, I would want to bring home all of them! Gorgeous! What a fun trip- I've always wanted to go to the Netherlands! All this talk about cheese makes me wish I weren't lactose intolerant! I love cheese! What a fun trip it sounds like you had such a grand time! Stop this looks so damn pretty and Netherlands has always been a place I'd love to go to. And you make it harder because it looks so damn pretty on your pictures. I've never been a big cheese fan, but I do like some, and I'm tempted to try even more. It sounds like you've really enjoyed it though, which makes me really happy! Oh no, you're making me crave cheese. The cheese wheels are gorgeous. I love how they're stacked, color coded & organized. Yellow, marigold, black, light blue & red. It's like art. Amazing photos!! Love this place!! I would blow my budget on this all this food! Stoopwafels sound like heaven and gouda is my favorite cheese so I assume I would love lots more. Super jealous! I love in the Netherlands, but a different city.. The Hague, have you heard of it? Wow, photos are really amazing. gouda is one of my favorite cheeses, I'm dying over those rows and rows of cheese. what a fun trip.